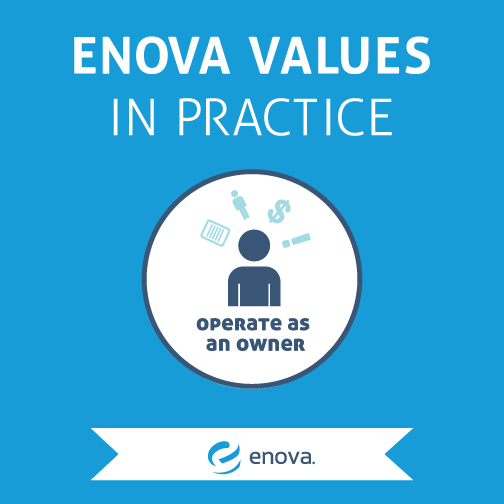 Enova Values in Practice: Operate As an Owner - Enova International, Inc.
Every company has ideas on what makes for the best approach. For many, these business habits come after years of trial and error, and represent that company’s tested methodologies. The same is true at Enova, where employees are urged to “operate as owners,” treating every job as though it will begin and end with them. As Enova has gotten bigger, thinking big and moving fast has become more and more important. Individual team members strive to make smart, informed decisions and execute them efficiently to make a big impact.